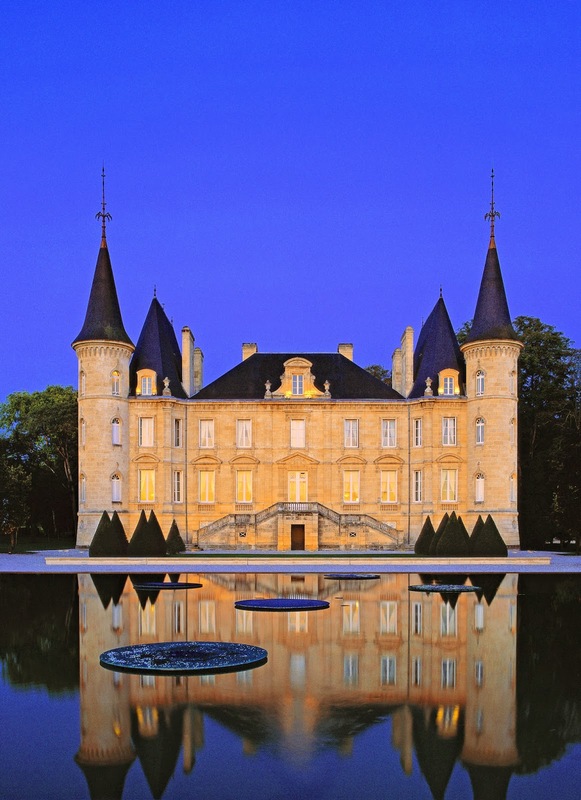 The Chateau Pichon Longueville in Bordeaux, France, is just one of many you'll experience on Viking River Cruises' newest itinerary, "Châteaux, Rivers and Wine" debuting in March 2014. Photo: Property of Viking River Cruises. Unauthorized use is prohibited. Imagine eight days of sailing the waterways through the sublime Bordeaux region of France with the sole purpose of exploring legendary châteaux and rolling hills of vineyards all from the comfort of your Viking longship. Beginning March 22, 2014, Viking River Cruises heads to Bordeaux with a brand new itinerary, "Châteaux, Rivers and Wine" aboard the Viking Forseti, one of Viking's award-winning longships. Marking the first time Viking River Cruises will position one of their longships in France, the Viking Forseti will ply the waters through the Bordeaux and Aquitaine regions of France exploring along the Dordogne, Garonne and Gironde Rivers in what is sure to be a feast for all senses—from exciting destinations and magnificent châteaux to delectable cuisine and some of France's most celebrated vintages. Come along as we explore the exciting ports of call on Viking Cruise's "Châteaux, Rivers and Wine." The brand new Viking longship "Viking Forseti," will be the first longship deployed in France. Here the Viking Odin in Volendam after its Christening in 2012. Photo: EuroTravelogue. Unauthorized use in prohibited. 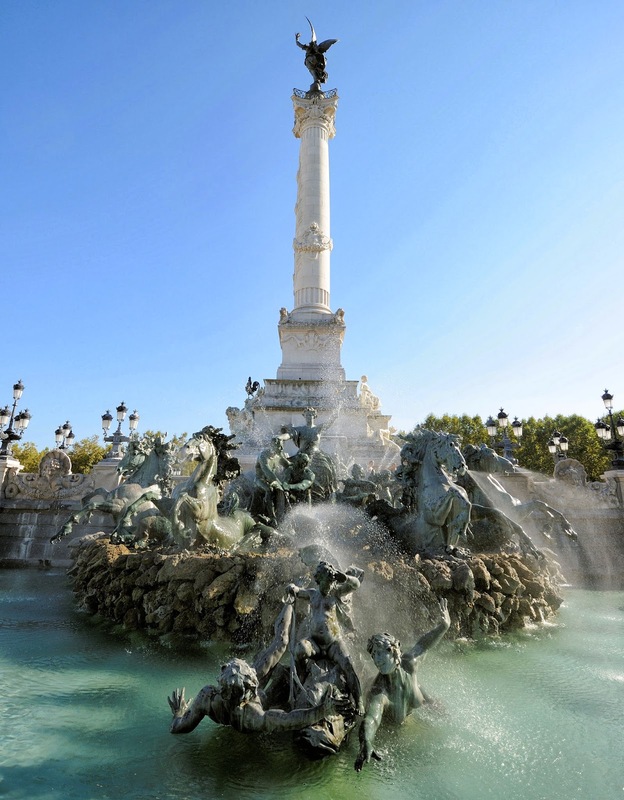 The Girondins Monument at Place des Quinconces in Bordeaux. Freedom breaks free from her shackles and offers Bordeaux the palm of victory at the top of the column. Erected at the turn of the 20th century, it honors those who fell during the Reign of Terror after the French Revolution. Photo: Property of Viking River Cruises. Unauthorized use is prohibited. We begin our voyage in Bordeaux, France, a magnificent city stretched along the Gironde River with its historic monuments, second to Paris only in terms of numbers; and its maritime port. Together, they comprise this first UNESCO World Heritage Site on our itinerary. Further into town, we'll explore the Place des Quinconces, one of Europe's largest squares; the 18th-century Grand Théâtre de Bordeaux with its spectacular neoclassical façade of Corinthian columns supporting the entablature of 12 Roman statues, nine of which represent the Muses and three more of the goddesses Juno, Venus and Minerva; and finally the 15th-century Saint Michel Church built between the end of the 14th century through the beginning of the 16th. 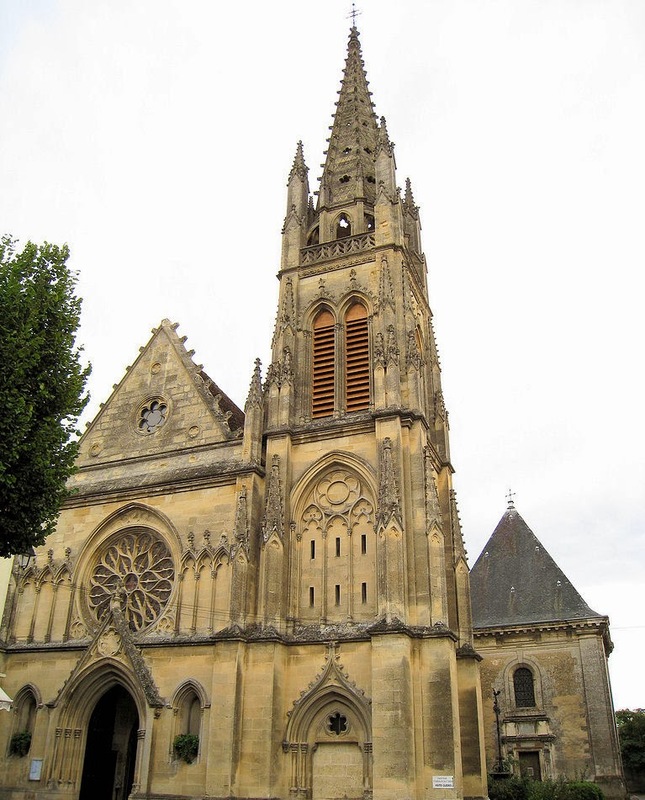 Construction of Saint Michel or Saint Michael Church began at the end of the 14th century and continued though the beginning of 16th. Photo: Property of Viking River Cruises. Unauthorized use is prohibited. The vineyards of the Chateau Pichon Longueville in Bordeaux, France, are planted with Cabernet Sauvignon, Merlot, Cabernet France and Petit Verdot. Property of Viking River Cruises. Unauthorized use is prohibited. Leaving Bordeaux behind until the end of our journey, we sail on to Pauillac in the Médoc region, famous for its Médoc and Margaux wines. Once we dock, there will be plenty of wine-tasting opportunities as we travel along the renowned "Route des Châteaux" just north of the city. Plus we'll experience a taste of chateau life too including: Châteaux Lafite Rothschild, Latour and Mouton Rothschild; and we may catch a glimpse of the lighthouse on the Île de Patiras, right in the middle of River Gironde. 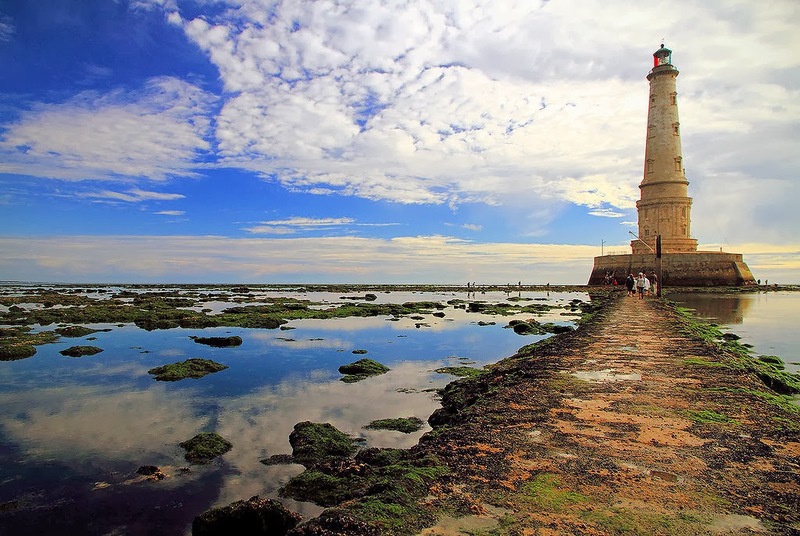 The lighthouse on the Île de Patiras. Photo: Boccalupo. Welcome to Blaye! The ruins of the Gothic chateau contain the tomb of Charibert II, king of Aquitaine. Photo: Mullineauxsand. 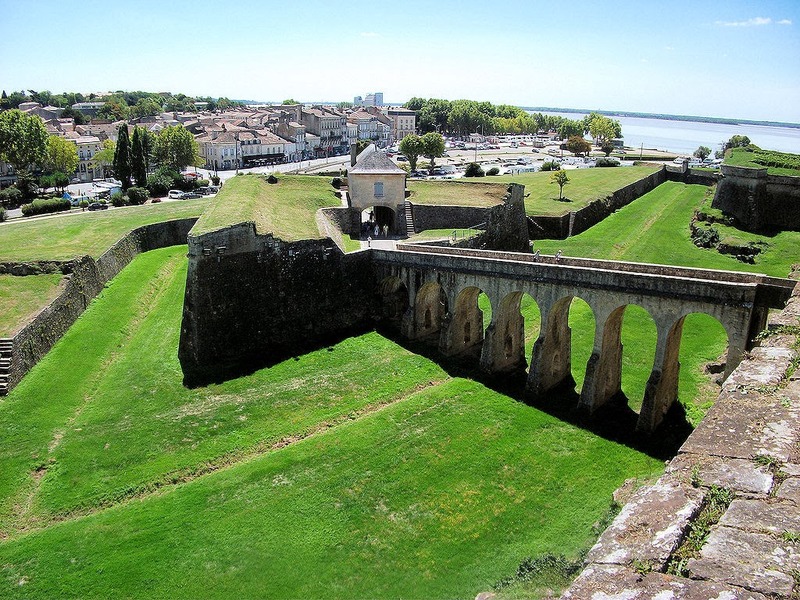 This morning, we sail to the 17th-century citadel of Blaye along the Gironde River. Ruins of an ancient Gothic château contain the tomb of Charibert II, king of Aquitaine. The city, chateau and other forts are collectively listed as a UNESCO World Heritage Site. And, there's an optional excursion to Cognac for a brandy tasting of some of the finest in the world. In the late afternoon, we set sail for Libourne in the Saint-Émilion region, leaving the Gironde River behind us and entering the Dordogne River for this part of the voyage. Saint Emilion. 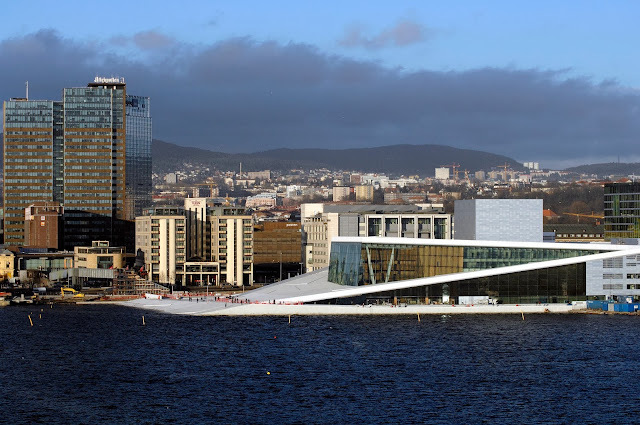 Photo: Med PhotoBlog. 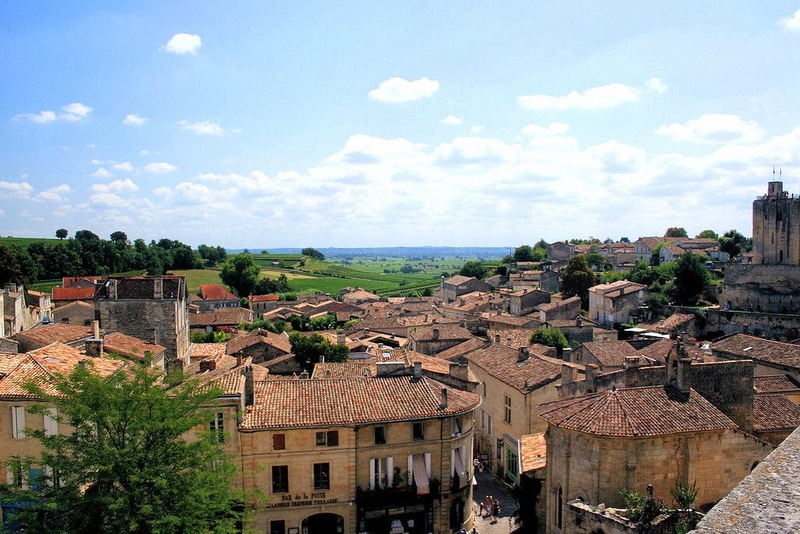 Our fourth day we tour the medieval village of Saint-Émilion, a UNESCO World Heritage Site where we'll taste some of the local vintages of the region. We can either explore the town including the Gothic church, clock tower and Town Hall, or opt for the afternoon excursion to Bergerac in the Dordogne to learn all about the delicacy that is truffles. Gothic church in Cadillac town centre. Photo: Ref1. Early morning, we'll depart Libourne and ply the waters of the Dordogne back around the bend and continue onward along the Garonne River all morning long until we arrive in Cadillac just after lunch. Upon disembarkation, we depart on an excursion to Sauternes to learn about the sweet dessert wines that this region is so well-known for. We'll start Day 6 with a walking tour through the town of Cadillac where an ancient harbor awaits and a stunning 16th-century chateau with its own moat and the ancient city walls with its Clock and Sea Gates. Back on board for lunch, we'll sail back to Bordeaux for the remainder of our journey. 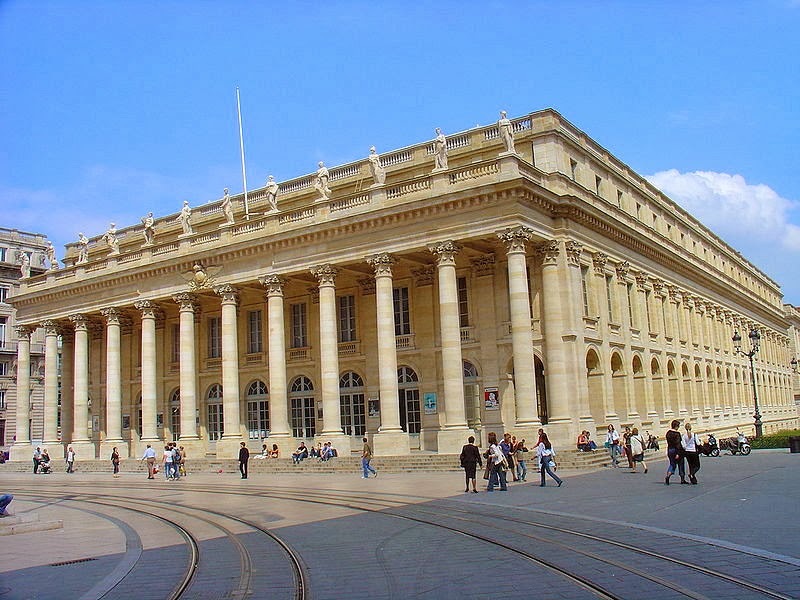 The Grand Theatre in Bordeaux with its neoclassical colonnade topped off with 12 Roman statues: nine represent the Muses and three the goddesses Juno, Venus and Minerva. Photo: WikiMedia.org. After breakfast, we'll visit some of Bordeaux's iconic landmarks including the Place des Quinconces, one of the largest squares in Europe; the neoclassical Grand Théâtre de Bordeaux; and several spectacular churches including Saint Michel Church. Also offered is an optional excursion to the commune of Arcachon on the Atlantic coast to see the Victorian-era villas, walk along the boardwalk and indulge in some savory oysters. The piece de resistance will be to see the Place de la Bourse and its magnificent reflecting pool at night! On Day 8, we depart our Viking Forseti for the journey home. Viking River Cruises' new "Châteaux, Rivers and Wine" river cruise promises an unforgettable introduction to France's legendary wine culture owing much thanks to the regional local experts who helped Viking design and map out this itinerary. Not only will guests observe centuries-old wine-making traditions; understand the wines of the Bordeaux region as taught by a master sommelier; and even learn to speak French onboard; they may even learn how to make canelés, a delicious French custard pastry. 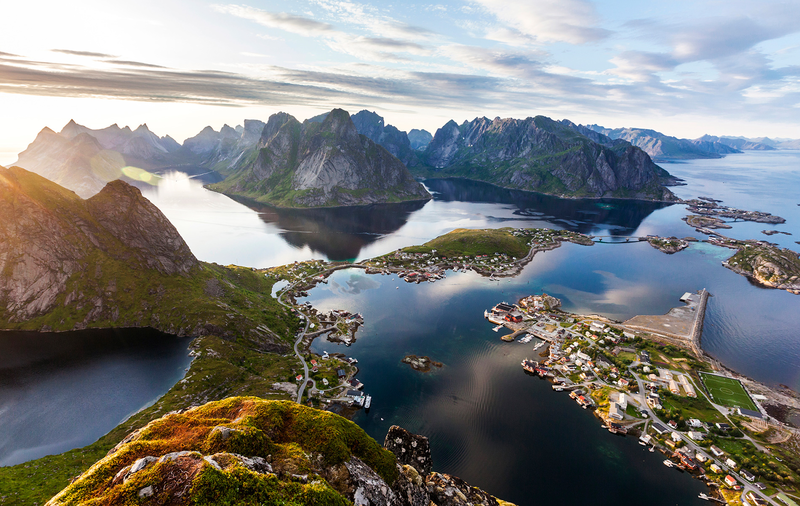 It's going to be an exciting and delectable 8-day journey to say the least and as Viking River Cruises says, "Celebrate joie de vivre in this land of wine and oysters, truffles and cognac." Be sure to stop back here and follow EuroTravelogue on Facebook and Twitter during the week of March 16th for an unprecedented Christening of 16 Viking Longships in Avignon, France. 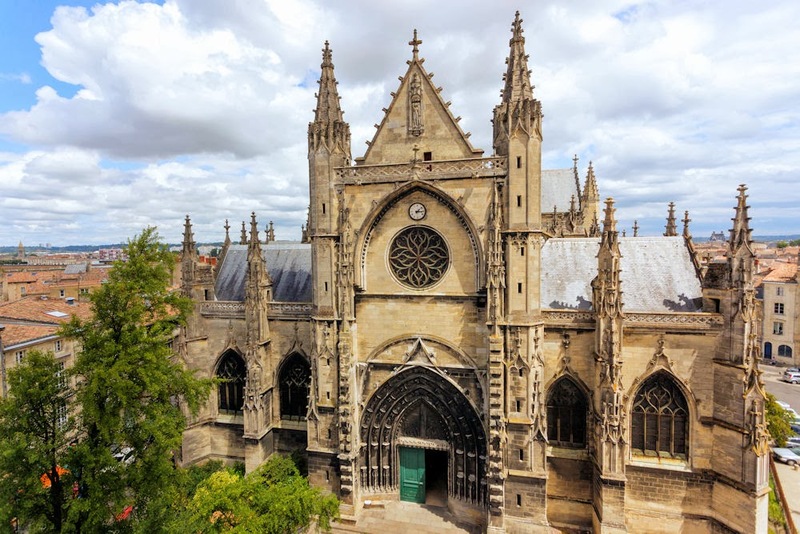 Following the ceremony and the pomp and circumstance, we depart for Bordeaux for an introductory 4-day cruise along Viking's newest itinerary, "Châteaux, Rivers and Wines." Yes, you convinced me -- completely! 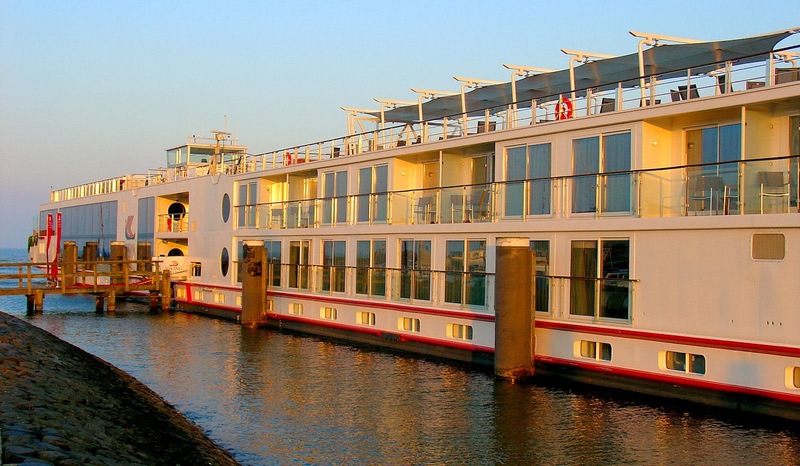 This sounds like a dream river cruise for me. I've never been on one before and I've never been to the Bordeaux region. You are going to have a fab time. I enjoyed your reports from the Danube Christmas market cruise and will look forward to hearing about Bordeaux! Hi there Cathy! It's going to be a dream cruise for me as well. I have long wanted to visit the Bordeaux region and now with Viking, I have the best of both worlds. I can't thank you enough for following along on my December journey and I thank you in advance for following me in March! Stay tuned...I plan to bring to sights, sounds and tastes to life during my week in Bordeaux! Thank you for stopping by too! I have been to Bordeaux but have not set foot in one of the wineries. What a magnificent sounding tour and aren't you the lucky guy able to take advantage of it. That boat looks incredible! One of the first decent paying jobs I ever had was with a French based company called Aquitaine. One day I'd like to see the region it's named for. Wow, to Bordeaux and not one stop at a winery. You know what you have to do then, don't you? Head back right away and visit at least one. ; ) The Viking longships are incredible to say the least and I love the intimate settings onboard. Actually, the entire river cruise from ship to food to tours and new friends is a great way to explore Europe and the world! Thank you for stopping by and sharing your thoughts! The tour sounds delightful and I can't wait to follow along! I would love to visit the Bordeaux region of France! Hi there Lisa!! It does sound lovely, doesn't it? I can't wait and can't tell you how much it means to me that you're going to follow along too! Thank you!! Wow...two European river cruises within months...I want to be your travel partner, Jeff :) This sounds like a great itinerary. I've always wanted to see this part of France. I'm looking forward to your posts and photos for inspiration. Hi Mary...I can't believe it either!! I received an invitation a month before the Christmas market cruise and it sent me soaring to the moon!! Very excited indeed!! Thanks so much for following along as well and for stopping by to share your thoughts!! Loved the pictures, the info and the travel inspiration. Can't wait to read your posts! I would love to go on a river cruise with my family, but having an 8 year old, not sure how much fun it would be for her or how much other passengers would be bothered by having a child on the ship... I could wait until she is older, but would really love to do that in the next 3 years. Hi there Monique. I understand and agree that you child probably wouldn't enjoy it since most of the passengers are adults. I would definitely wait she is older. Thank you for stopping by and sharing your comments. What a fantastic trip!! Wine, lovely architecture, truffles, peaceful sailing - sounds perfect! :) I love France but haven't explored this region. I'm looking forward to following along! I'm excited that Viking is branching out into new regions. (I'm particularly intrigued by the Portugal route!) This seems like a great itinerary. I saw one of the line's ships docked in Amsterdam and it was very pretty and a great size. Enjoy the exciting christening of the new Longboat and have a wonderful cruise in France! Thank you so much for stopping by and for following along too! It's going to be a sublime voyage through France...I have long wanted to visit Avignon and Bordeaux so this is a dream come true for me. I agree about Portugal. I've never been but the Douro River and surrounding countryside looks amazing, doesn't it? Viking River Cruises' new Chateaux cruise sounds a true fairytale, Jeff! Can't WAIT to see your posts and pics! Hi there Lesley and thank you my friend for stopping by! I agree, this is one cruise that's going to be an amazing journey especially because I've never been to this part of France! Really looking forward to Avignon too!! This is pure decadence - and I absolutely love it! Bordeaux is on my list, primarily because I discovered a wine and vineyard that bear my name: Chateau Franc Mayne. I used to buy the wine by the case but haven't seen it in a while. I'd love to visit the vineyard and see Bordeaux. BTW, Jeff, reading blogs like yours cause people like me to add new trips to our travel lists. Wow, such enthusiasm Marcia! I love it too!! Bordeaux has long been on my list for France, right up with there with Alsace. I can't believe a winery bears your name, how exciting is that??!! Most of all, thank you for your kind words at the end of your comment. I am deeply honored my friend. Thank you again! That looks amazing. WoW have a great time, looking forward to read all about it. Thanks so much for stopping by and for your kind wishes! I think it's going to be an amazing event and preview to France's Bordeaux. I am really looking forward to it. Thank you in advance for following along as well! My BF, Tom and I are actually booked on the 3/22 trip. We did not know that the ship was brand new or that this was a new itinerary. We will be looking forward to your blog. I have wanted to take a Viking River Cruise for many years, but I can't believe it is actually going to happen. What a fabulous way to celebrate our 60th and 65th birthday. I came upon your website as I was beginning to do my research prior to the trip. What a great find. Thanks so much for the great info. Hi there Donna!! What a coincidence! I will be disembarking as your embarking and we may pass like two ships in the night!! Who knows! How extraordinary. 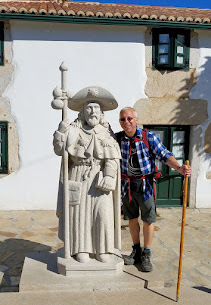 Be sure to follow along on facebook facebook.com/eurotravelogue for all the updates as I probably won't publish on this site until my return. I hope we both have a fabulous time. Most of all, thank you so much for stopping by and sharing your thoughts! Comments like this make my YEAR!! I am convinced. This looks like an amazing journey on a beautiful ship. That in of itself would be great but add chateaux and wine and this will be sublime. Can't wait to follow along. How do you apply for a job for viking cruse?